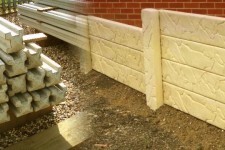 Concrete-Backed No-Fines Retaining Wall for economical applications up to 2.5 meters in height. Cheap and affordable - Contact us by form or telephone to find out more and get a free quote. 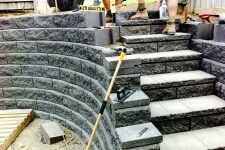 Masonry staircases, curves and corners. 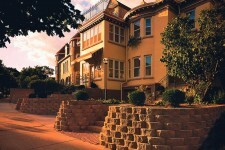 We can bring your imagination to life. 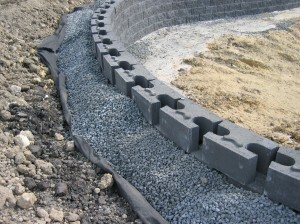 VicWalls Retaining Walls reinforced using layers of Geo-Synthetic Grid Rolls can be built to over 20 meters in height. 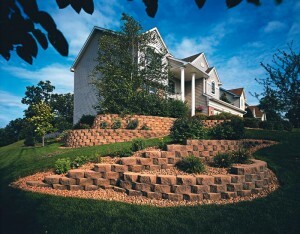 Small Free-Standing retaining walls up to 1.2 meters in height. Request Quote Telephone Hours: 8AM - 6PM Weekdays and Weekends. 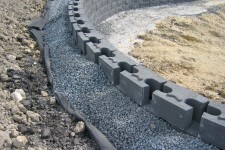 VicWalls provides Site Inspection services to assess the geotechnical details of the site and help you to select the relevant and cost effective retaining wall solution. VicWalls Construction Inspection & Certification services ensures that your project is built without defects, compliant with Australian Standards and is safe for all your employees and customers. 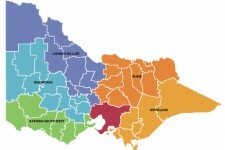 VicWalls will provide certified design and construction certificates as required by the City Councils. 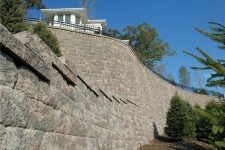 VicWalls retaining wall services will design retaining walls to R57 design specifications for Australian roads. Call now for a quote. 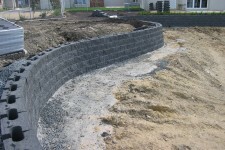 VicWalls Australian Standard AS4678 Design services will design retaining walls to your specifications. Call now for a quote.